A recent federally-funded study of 17 childhood obesity prevention programs in high-income countries has found that programs that promoted healthy diet and physical activity significantly improved lipid profiles in children. For those children participating in the programs may reduce their risk of cardiovascular disease in adulthood.Programs that improved lipid profiles did so whether or not they lowered obesity risk. The principle investigator for the study was Youfa Wang, MD, PhD, professor of epidemiology and environmental health at the University at Buffalo School of Public Health and Health Professions and professor of pediatrics in the UB School of Medicine and Biomedical Sciences. He stated: “We found that certain childhood obesity prevention programs had a significant desirable effect on LDL (low-density lipid or ‘bad cholesterol’) and on HDL (high-density lipid or ‘good cholesterol’), even if they did not reduce the risk of obesity. The study, “Effect of childhood obesity prevention program on blood lipids: a systemic review and meta-analysis,” was funded in part by two agencies of the U.S. Department of Health and Human Services: the Agency for Healthcare Research and Quality (AHRQ) and the National Institutes of Health (NIH). It was published in the September issue of Obesity Reviews, an official journal of the World Obesity Federation. The first author of the study is Li Cai, MD, PhD, of China’s Sun Yat-sen University, who worked as a postdoctoral fellow under Wang at The Johns Hopkins University Bloomberg School of Public Health. The other co-authors are Lawrence Cheskin, MD, associate professor and director of the Weight Management Center in The Johns Hopkins University Bloomberg School of Public Health, Yang Wu of The Johns Hopkins University Bloomberg School of Public Health, and Renee Wilson, project manager at The Johns Hopkins University School of Medicine Evidence-Based Practice Center. Cai says: “There are large variations in the intervention programs we examined in terms of design, implementation, sample selection, data collection and the reporting of results. This was a challenge for our meta-analysis. “We looked at 677 relevant papers and selected for analysis 17 studies that met inclusion criteria. The 17 studies had a total of 13,136 participants,” she says. The authors point out that a growing body of evidence suggests that dyslipidaemia, an abnormal amount of lipid (e.g. 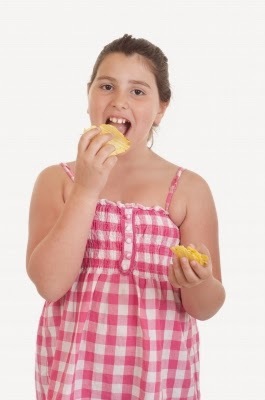 cholesterol and/or fat) in the blood is associated with childhood obesity as well as adult cardiovascular disease. “Childhood obesity has many long-term health consequences,” Wang says. “Because it is difficult to cure once it develops, prevention in children is important. “For that reason,” he says, “we also considered the effects of the prevention programs not only on lipid profiles but how much they improved obesity as measured by body mass index (BMI), waist measurement and waist to hip ratio. The study looked at obesity prevention programs for students in 10 countries that focused on changes in diet, exercise or both. “Only 15 percent of the interventions we examined improved both obesity and lipids outcomes and 55 percent had no significant effect on either,” Wang says. Wang is an internationally known expert in childhood obesity and this study was initiated by the team he led while on the faculty of Johns Hopkins University. The current study by Cai, Wang and others offers new data and analysis of the effects on blood lipids. In another study published in the journal Circulation in May 2014, the team reported the beneficial effects of childhood obesity prevention programs on blood pressure. As parents, what can we learn from this study? It is always important to teach your children how to have a healthy and active lifestyle. For families that have two parents that work outside the home, it may be too difficult to make time to teach their kids in the home about fitness and healthy eating. If this is the case for your family then I believe it is a smart idea to look into and have your children participate in obesity prevention programs. Even if you don’t have obesity in your family history these programs can also help your kids lower their risk of heart disease. You can check with your school district, YMCA or parks and recreation department to find out if your community has an obesity prevention program for kids.